Throwing a party for your coworkers or just need a laugh after a long shift? Try our favorite nurse-themed cocktails! Please enjoy responsibly. Each recipe makes one drink. Mix all ingredients in a highball glass. Stir. Garnish with a slice of lemon. Place several ice cubes into a 12-oz. highball glass or equivalent. Gently pour in the Campari bitters until one quarter full. Add the ginger ale until three quarters full, pouring across the side of the glass so as to not affect the Campari on the bottom. 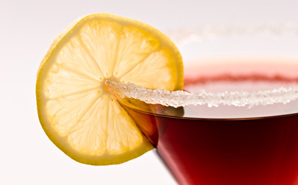 Apply lemon juice to the rim of a frosted double-cocktail glass and dip into caster sugar. Fill the glass with crushed ice, add the ingredients and blend briefly. Serve with a lemon juice-dipped slice of banana.